The Last Tradition: Has Trey Gowdy been absorbed by The Swamp? 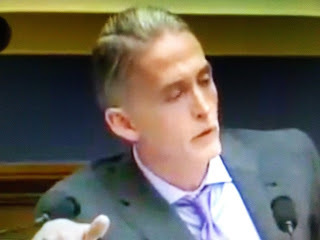 Has Trey Gowdy been absorbed by The Swamp? It's been awhile now that I've noticed some troubling comments cone out of Trey Gowdy's mouth. The first time my ears perked up. Then came the second and the third time. But, when he said he had confidence in Robert Mueller's ability to conduct an honest investigation of President Trump a few weeks ago, I lost it. It's been downhill ever since. Yesterday, he spouted off at Trump's lawyer sounding more like Adam Schiff than the old Trey Gowdy. Washington Post reports Rep. Trey Gowdy (R-S.C.) made waves Sunday by telling President Trump's lawyer that if his client is innocent, he should “act like it.” But focusing on that three-word phrase undersells the very important point Gowdy was making — and the importance of the messenger himself.